Peter Washington | New PR Words - and Music! Biz Lessons from Jazz: The Power of Listening, Nonverbal Cues, Storytelling and Respect! 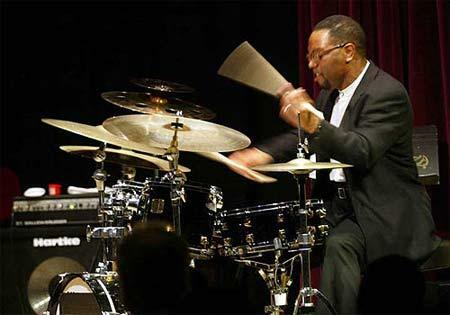 On Saturday evening, Jeff and I went into NY City to hear a classic jazz trio – piano, bass and drums — of the highest caliber at the intimate jazz room in the Kitano Hotel. 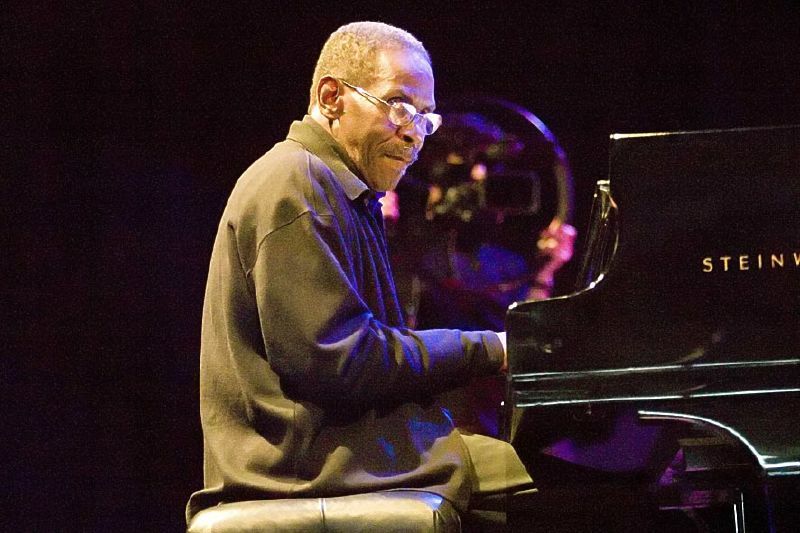 The trio was led by George Cables on piano, who has played with everyone from Art Blakey to Sarah Vaughan to Sonny Rollins. He was joined by the best rhythm section in the business, Peter Washington on stand-up bass and Lewis Nash on drums. That evening’s performance reminded me again why I love jazz. It is the single most intelligent and creative art form I’ve ever experienced – and when it’s melodic, rhythmic and it swings, it’s heaven on earth. At the highest levels, it demonstrates improvisational qualities that we can all seek to emulate and bring into our work lives. If we’re able to do that, we will surely elevate our business games. Let me explain. I’ve heard many hundreds of live jazz sets over the years. Every once in awhile, one stands out as spectacular — beyond special. That happened on Saturday. The jazz musicians we heard this weekend have their skills honed and fine tuned to the max – as many of us do in our chosen fields. When they play their solos, their virtuosity is unmistakable. That’s job one for all of us: get our chops up. It’s what they do in the ensemble environment that provides awesome lessons for business – and, in this political season, for government, too. We observed the epitome of active listening. There was an intensity to it – although it seemed effortless. You could see – and hear the result of — the three listening to one another. It enabled them to pick up on a musical phrase played by one and allowed the others to echo it or bend it or transform it. Do you think this level of listening could boost the results of corporate teams, small businesses and the US Congress? It’s not about what power I can gain by pushing my idea, but what we can all achieve together by listening to each other’s ideas to synthesize new and exciting solutions. There were also non-verbal cues: a nod, a gesture, fingers held up in a silent count. The trio picked them all up and used them to create a polished performance that has never before or will ever again be created. It was seamless and precise. It sounded like they were reading from a score, but they weren’t. They were playing from a basic set of chords and improvising on the fly. It reminded me of a moment a while back at a meeting with a prospective client, the owner of a business. He had invited key staff members to join us and provide their input. When they got too far from his vision and tolerances, I saw his expression change. I chose that moment to make eye contact with him to express that I was happy to engage with his staff, but that I recognized that ultimately he was the client and decision maker. In that brief instant, he and I communicated how we would proceed together. In an hour of music, there was also a lesson in story telling. Several of the tunes were George Cable compositions. 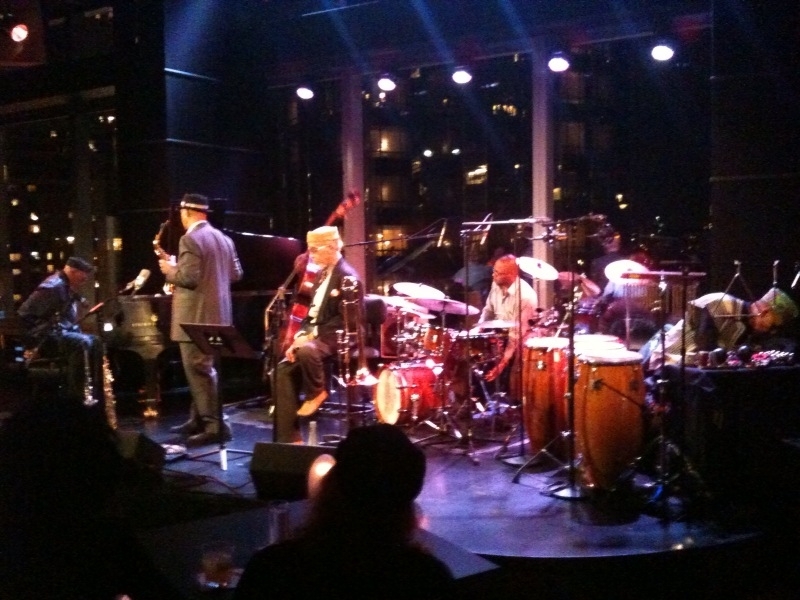 Original works by jazz musicians fill the jazz repertoire. Young players feel compelled to follow in this tradition but don’t really understand what makes a great tune. They think that if they write a theme — a few notes — and improvise on those notes seemingly endlessly, they’ve composed a song worthy of recording. Not! There is only a handful of musicians who are also great composers; whose songs, in my opinion, are worth recording. Dave Brubeck is one and George Cables is another. The reason they stand out is that they know how to tell a musical story. Their stories are about something that we can relate to. They have a beginning, a middle and an end. Go to www.georgecables.com. You’ll spontaneously hear part of one of his compositions called Song for Helen. He wrote it for his life partner, a woman whose love saw him through a liver and kidney transplant. You’ve probably never heard it before. But you’ll want to hear it again. You’ll get what their relationship is about. We who create content need to keep story telling top of mind. The final business lesson from jazz in this post is that none of the above could happen without respect. It all started with musicians who respect one another’s talents and skills. Without that they could not have listened without ego, subjugating their own needs to what they could create as a group. Nor could they have trusted their nonverbal cues to be understood and acted upon. The story telling part comes from self respect, which allows us to honestly communication our life experiences. I hope you enjoyed this story of a Saturday night out that led to some thoughts that could propel me into a more effective Monday. What are your passions that give you lessons for your work life? And thanks for sharing one or two. For those of you who may not know, in addition to addressing how the Web is influencing the evolution of marketing, this blog is from time to time where I can share my passion for jazz. This post combines the two. When it comes to creativity and discipline, there are no better role models than jazz musicians at the top of their game. Yet the number of venues where we can hear jazz in the US– where it was invented – shrinks every year. American jazz artists must go to Europe orAsia to achieve rock star (pardon the expression) status. Last night we heard an awesome jazz quartet at the Village Vanguard in NYC anchored by the trio Renee Rosnes on piano, Peter Washington on bass and the spectacular Lewis Nash on drums. Every time I have such an experience, it makes me think about and hope for the future of the art form. Could it be that Google+ – now in beta – holds the answer? Because of my interest in this phenomenal music, I joined a LinkedIn group called Jazz in Business, which I’ve mentioned here before – as recently as yesterday. I started a discussion there by asking how members are using social media and the Web in general to promote and enable their music. There have been a number of comments describing use of Facebook and Twitter to promote gigs and CDs. One member, Michael Gold, PhD, a brilliant jazz upright bass player who uses video Skype calls to teach and rehearse with students, posted a highly provocative comment. 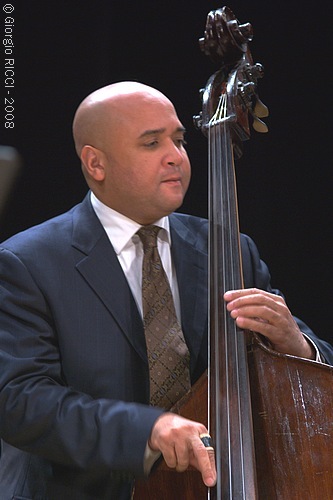 Michael, who performed in NY for years, has founded a consultancy called Jazz Impact in the Minneapolis area. “We are at the beginning of a new business platform (in jazz). Eventually the real-estate that houses clubs and performance spaces will be manifested in virtual space. The challenge is to extract the core value of all that has worked in the past and reinvent it using the new tools that exist. That’s called creative destruction- a phrase coined by the economist Joseph Schumpeter in the 1940’s to describe what he saw as the escalating process of innovation brought about by new technologies. With thoughts from last night about the future of jazz still fresh, I awoke today, got some coffee and went to my email, including Chris Brogan’s blog, which I read daily. Today he posted 50 observations about Google+ from his early explorations as an invitee to its beta. If Google Music integrates into this platform the way YouTube is now, it’s a powerful entertainment media platform instantly. How long before we see our first Hangout live music “jam?” That’s one record button away from being supercool. And one “name your price” Google Checkout tweak away from being instant micro content for sale. As formerly ‘bricks and mortar only’ activities – including jazz clubs and festivals — are enabled to move online and access global audiences, there is hope for my beloved jazz and the amazing artists who sacrifice much to play it and keep it alive! Here’s a link to NPR’s site where you can hear the Renee Rosnes trio’s performance on Jazzset along with vibes player Steve Nelson. Enjoy! How do you envision the Web’s role in the future of music?